Eyeing That BB Gun For Christmas? Don't Go There, Doctors Say : Shots - Health News Sure as the season, some toys that turn up on the most-popular lists are also considered a safety hazard. So best to skip the LED crossbow, eye doctors say. In the 1983 movie A Christmas Story, all Ralphie wanted was a BB gun. 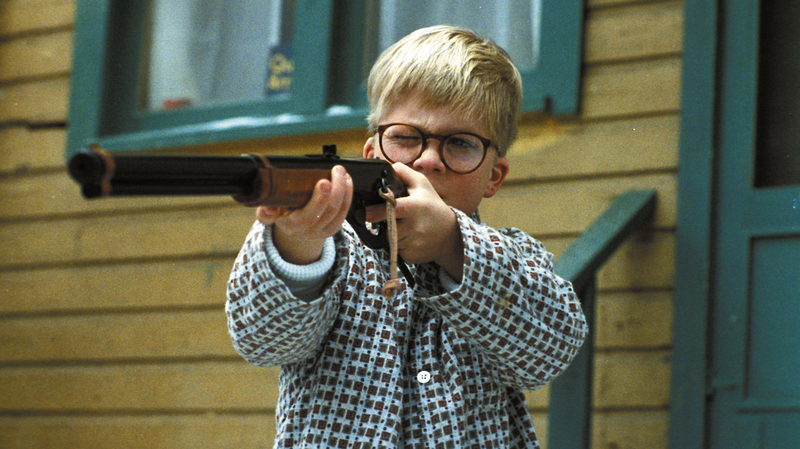 If you've seen the classic movie A Christmas Story, you know that Ralphie really, really wanted that BB gun. And you know that his mother, his teacher, even the department store Santa all said: "You'll shoot your eye out." They're right, the nation's ophthalmologists say. And though BB guns still top the eye doctors' list of way-too-dangerous toys, each year there are new contenders for that dubious prize. Like the Air Storm Firetek Bow, which makes it possible to shoot glowing brands across a darkened room. Am I alone in thinking that this sounds like tons of fun? "At short range it packs a punch," says Dr. Jane Edmond, a pediatric ophthalmologist at Texas Children's Hospital and a spokeswoman for the American Academy of Ophthalmology. "It can cause bleeding, cataracts, retinal detachment." That doesn't sound good. The foam on the Air Storm arrows isn't enough to prevent injury, Edmond explains. That's why the Air Storm bow ended up at the top of the "10 worst toys" list for WATCH, a nonprofit promoting toy safety. The original steel Jarts — fun, but ultimately just too dangerous. Truth be told, my family abandoned our all-out Nerf gun battles after a suction-cup dart nailed my husband right in the eye. Luckily he had glasses on; they stopped the dart. Otherwise he might have been on the way to the ER, too. "Parents need to weigh in and use their common sense," Edmond says. Wearing polycarbonate glasses or goggles will shield eyes against projectiles. But they don't come with the Air Storm Firetek Bow or indeed any toy I can think of. For toys like a BB gun or a trampoline, the sense of danger is part of what makes it such exhilarating fun. As a child, I loved throwing heavy steel Jarts across the yard with my brothers. 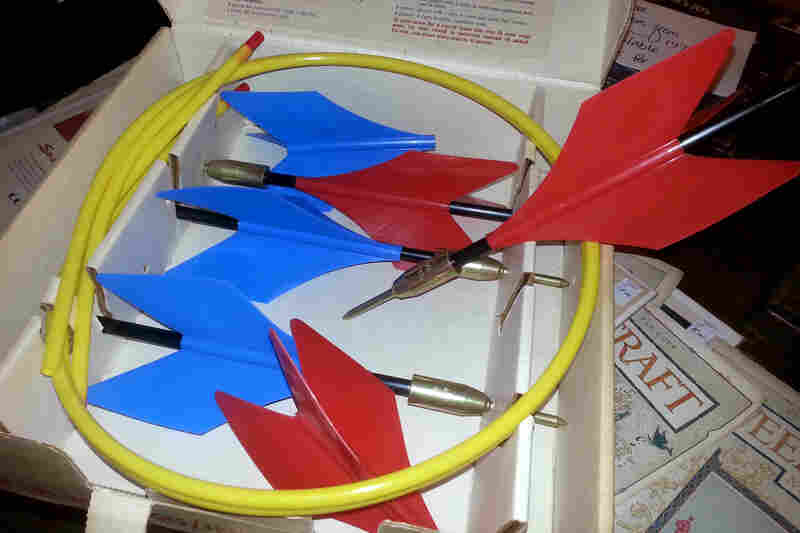 But Jarts were banned in 1988, after thousands of children were seriously injured by the projectiles. Some were killed. In 2012, the American Academy told parents not to buy home trampolines because of the high injury count. So I keep weighing thrill vs. caution in the toy aisle. I've let my daughter shoot a BB gun and go hang gliding. But I'm resisting the trampoline, despite serious kid pressure. This is one Christmas when there won't be a glowing crossbow under the tree, either. Who wouldn't want to shoot glowing arrows in the dark? But doctors say projectile toys like this pose a danger to eyes.